It is clear to many Zambians that President Edgar Lungu has no clue on how to resolve issues of load-shedding and many economic problems facing the country, says MMD leader Nevers Mumba. 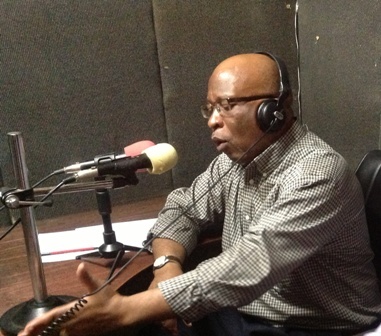 Speaking on Ndola’s Sun FM Radio on Friday, Mumba said the country would collapse completely if President Lungu and the PF continue to rule beyond 2016. “I think President Lungu is supposed to surround himself with people that can think and reason because we are going down as a country and we are going down fast. Ba Lungu bali kwati ni ulya muntu uwikete ilini ilyakaba. Baleti balyalawila uku, balibwesesha uku; amano nayapwa; tabeshibe ifya kuchita pa mafya yali muli chino chalo (Lungu is behaving like someone holding a hot boiled egg in his hands and is struggling to hold it in one hand and doesn’t know what to do; he has run out of ideas),” Mumba said. He said President Lungu was surrounding himself with wrong people that were not helping him think fast to resolve the economic malaise the country was facing. Look who is talking! Ba Mumba you are an embarrassment to GOD! He gave you opportunities andyou have failed him. Vice President….Fired. High commissioner…Fired! Gave you Christian Coalition…. wasted it. RP…..wasted it. MMD …….wasted it. What are you good for kanshi bakalamba?Do not cheat yourself . You have no following in country. If you had the Pentecostal Christians would have given you a big vote. But Alas the too do not trust you.!!! Dear MUMBA……Why don’t you shut up for once! Not even the devil can give you respect after what you did kuli ba Kachingwe. Shimapepo ukutuma abaiche ati kapononeni ba Mudala! What a man of GOD. It shows what is inside you.